Arbitration is a requirement which is commonly included with contracts. 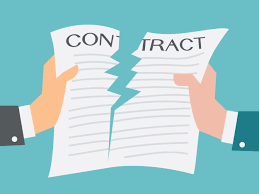 This means that whenever there is an issue with your contract, you have given-up your right to take the matter to court as you have agreed to arbitration, and as arbitration is legally binding a Sheriff or Judge would not entertain your claim. This can cause problems where the cost of arbitration (which can be rather astronomical depending on which institute the clause requires) completely outweighs the cost being claimed under the contract. However, all is not lost- as there is a way to defeat an arbitration clause. Nothing has caused the court to be satisfied that arbitration agreement concerned is void, inoperative or incapable of being performed. Therefore, this states that an arbitration agreement will be automatically unfair, and thus not binding on the consumer, so far as it relates to a claim for a pecuniary remedy which does not exceed an amount specified by in the Unfair Arbitration Agreement (Specified Amounts) Order 1999, which is £5,0000. However, if an agreement is not automatically unfair it may be adjudged under the Consumer Rights Act 2015, this statute refers to a situation where an arbitration clause is imposed on a consumer, and will not apply where the parties enter into a freestanding arbitration agreement, nor where the parties genuinely agree to insert an arbitration clause into the contract. If agreement led to the insertion then it will not be held unfair, per Rimer J in Bryen and Langley Ltd v Boston  WWCA Civ 973. Yet, it can be argued to be unfair if, at the time of creating the contract, the clause was not brought to the consumer’s attention and implications explained, as per Ramsey J in Mylcrist Builders Ltd v Buck  EWHC 2172. This is to ensure that the consumer is not left at a disadvantage, with no legal remedy, due to the cost of arbitration being significantly higher than the cost of litigating. Therefore, if you (or your client) are faced with an arbitration clause which is just not plausible in seeking a remedy then you may still have the option of court intervention in a situation where the arbitration clause would cost more than the cost incurred under your contract.